Take command over these hues and set the mood in your home and workplace to strike the balance between comfort and productivity. 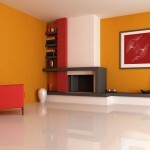 Color is the single most important component of interior design. It can improve mood, increase productivity, make a room seem bigger or smaller, reduce the negative effects of glare or low lighting, promote socialization, lower or raise blood pressure, boost energy, increase appetite, improve concentration, and even reduce negative behavior. Red isn’t for the faint of heart. 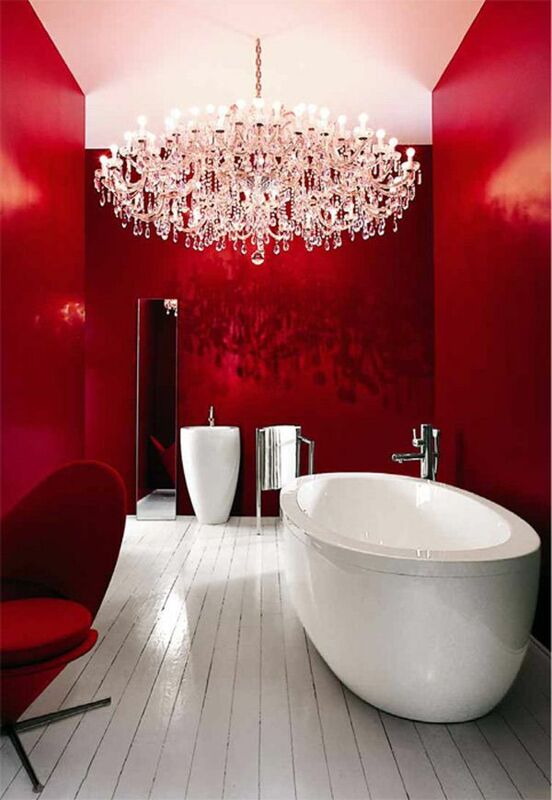 Considered the color of romance and passion, stimulating red is a design tool that heightens the senses. 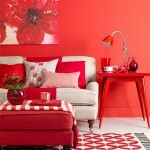 Red can feel contemporary, traditional, rustic or timeless, depending on the shade and context. A touch of red can warm up a cool blue and white room, or add drama when used as the main color in a small space like a powder room. 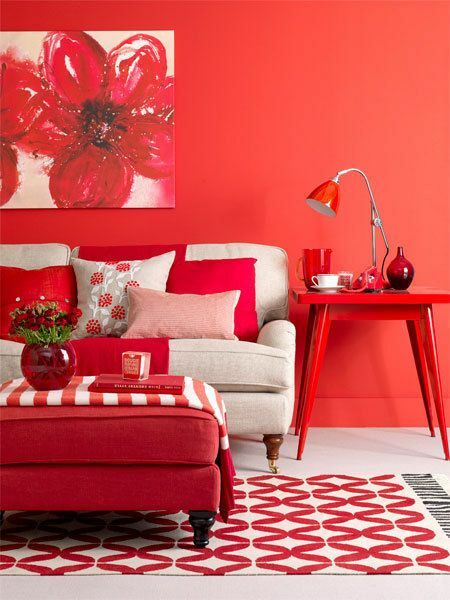 From crimson and fire engine red to merlot and rust, there are endless ways to use this warm shade to create a mood. 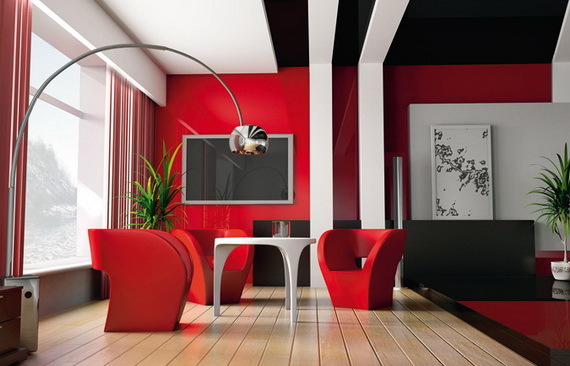 Use red on the walls to make a room feel more intimate, or feature the color on just one wall to visually rework the proportions of a long, narrow room. Different patterns and shades of red can work together to perk up a neutral dining room, or make a small dining alcove feel like a destination. 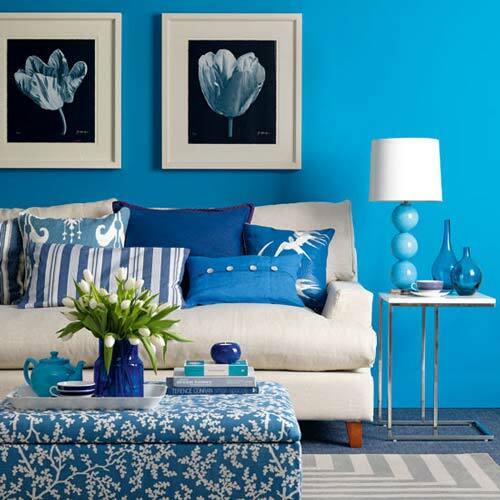 Blue evokes feelings of calm and freshness, and represents strength and dependability. Think of the sky and ocean. 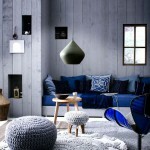 The beauty of blue is the elemental color’s amazing versatility. 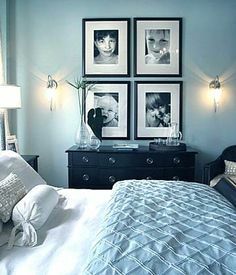 A high energy shade of blue, like sapphire, can add a bold punch of energy to a room, while a light sky blue on the walls can make a space feel tranquil. 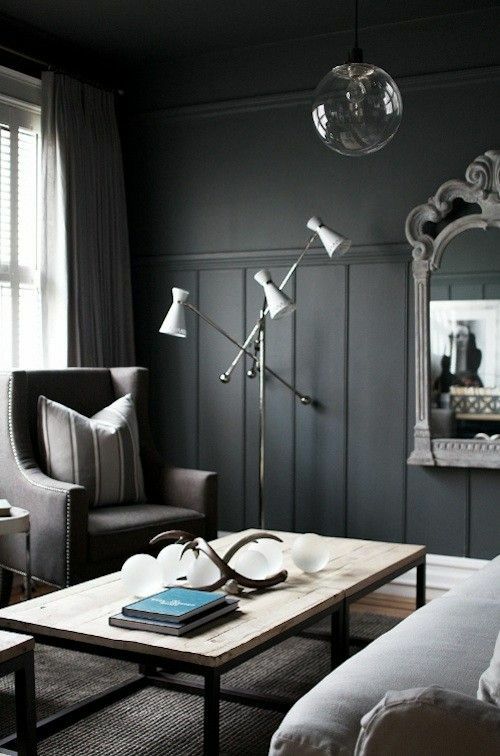 Darker shades like navy can offer drama, while paler shades can make small spaces feel larger. The effect depends on the tone of blue. 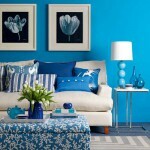 Since blue is associated with calmness, it works well in a bathroom, bedroom or kitchen, all rooms where one goes to relax. Different shades of light blue can be used for ceilings to mimic the sky, making a room feel larger. 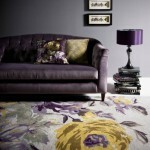 Purple, the color of royalty and creativity, is a combination of calm blue and exciting red. 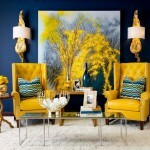 The color can add exotic flair to different rooms in your home. 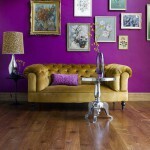 Purple can be dramatic or quiet, depending on the tone or shade. 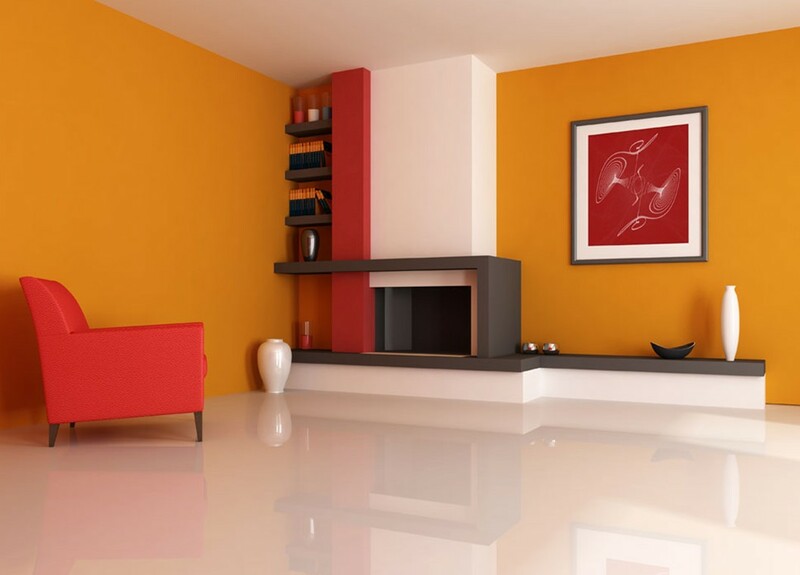 The regal color can add richness to a space or drama to an architecturally simple room. 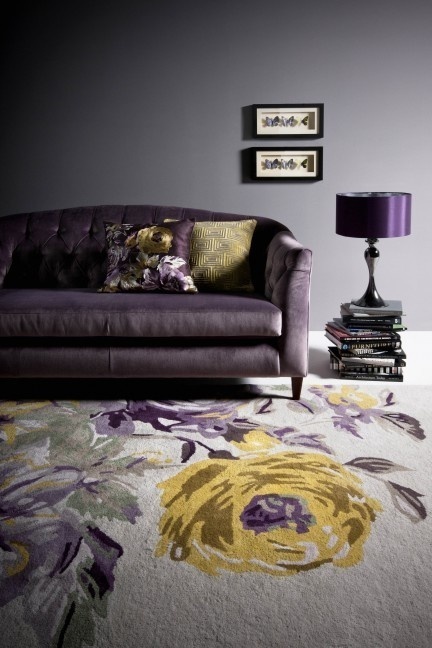 Purple colors range from light lavenders to solid plums, and a few strategically placed purple accents may be all you need to create a whole new vibe for your surroundings. 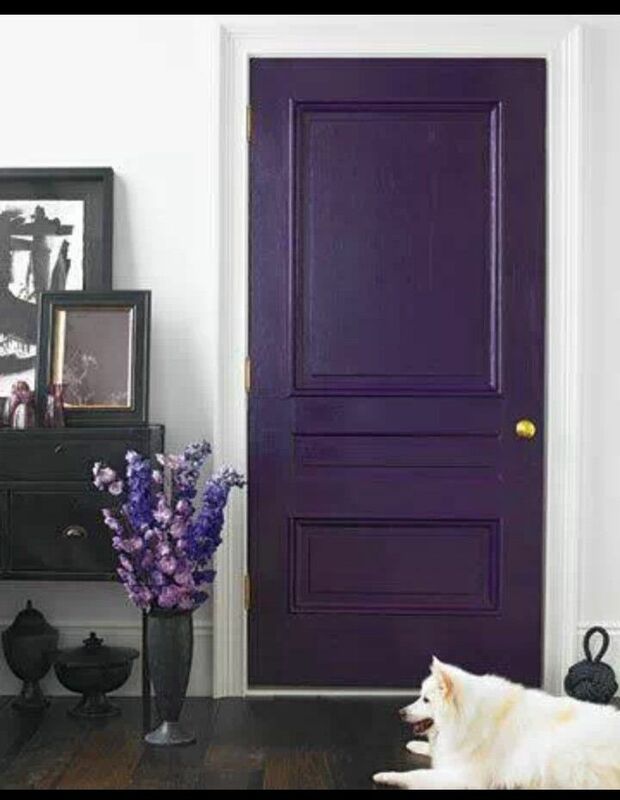 Use deep purple to create a stunning front entry. Light lavender gray walls can add softness to a formal living room, while purple pastels mixed with modern art can make a teen’s bedroom feel hip and young. stimulates the nervous system, promotes communication and sparks creativity. 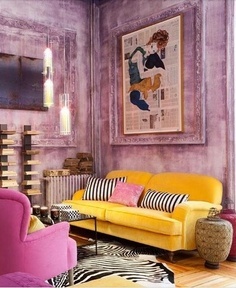 spectrum of yellow shades gives you flexibility in designing rooms with a feelgood ambiance. 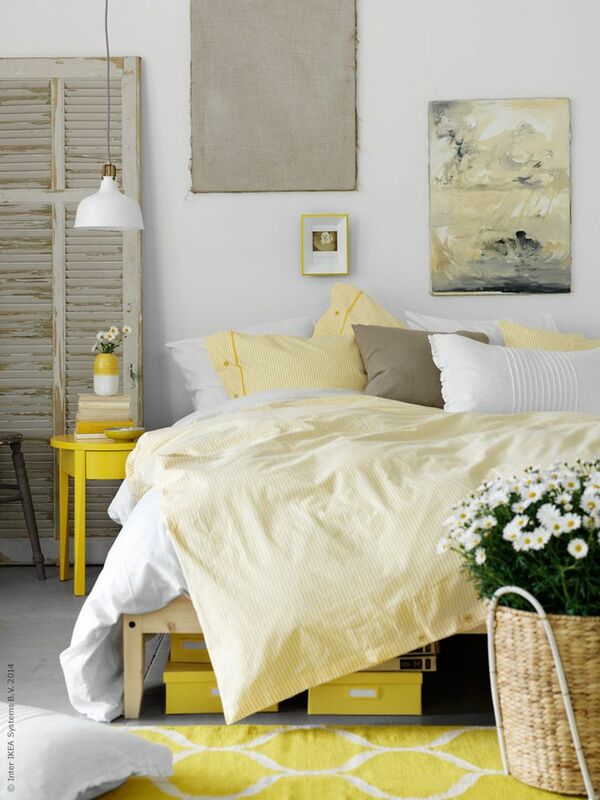 Hallways and rooms without windows can benefit from strong, saturated shades of yellow. The shade will create the illusion of light. Buttery yellow walls add a warm glow that makes a room feel cozy, while muted yellow walls can make a room feel peaceful. 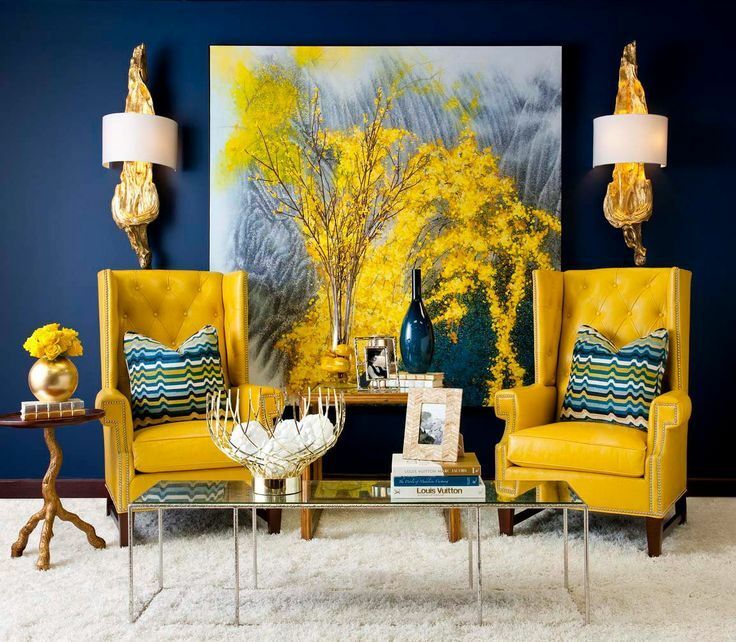 If you have a room with northern exposure and live in a climate with lots of gray days, yellow can brighten up the space without overwhelming it. Green represents growth and renewal. You associate the color with grassy fields, luscious leaves and other gifts of nature, so it lends a calming feel to a room. 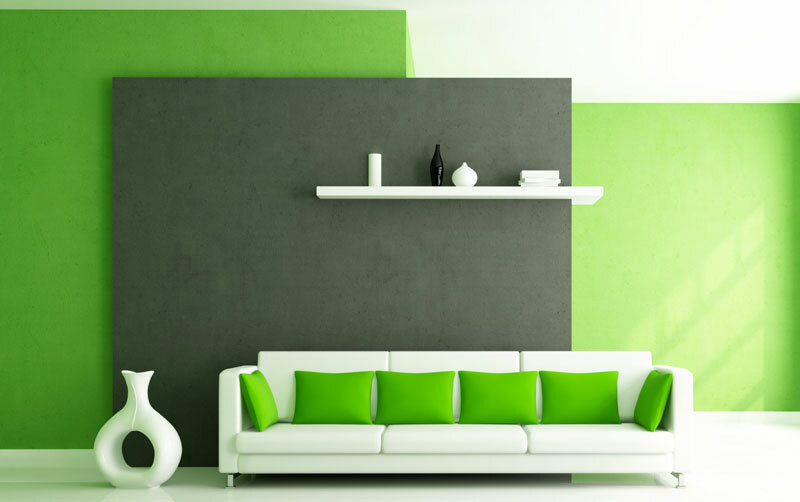 Green comes in many shades, so you can create various moods and use its versatility to pair it with a range of other colors. 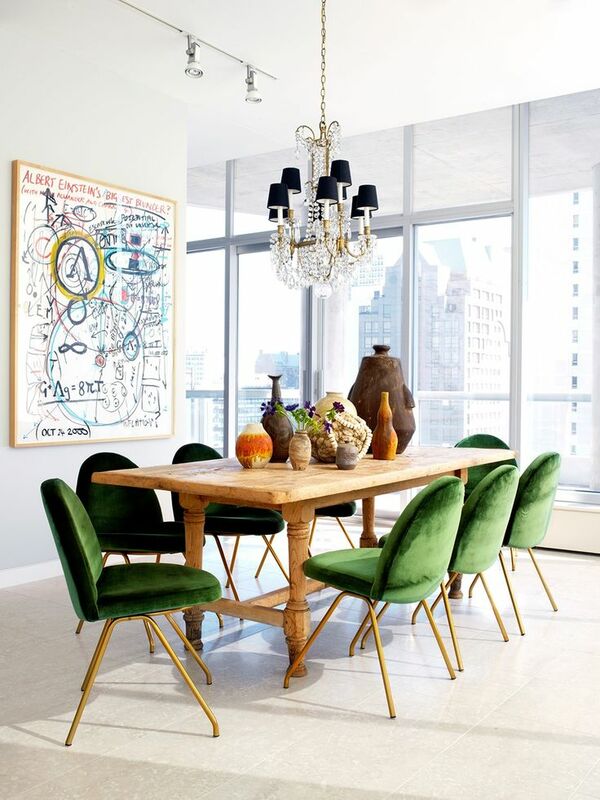 You can decorate an entire room with greens and have contrast, drama, richness and balance. It’s so versatile. Celery green looks light and airy in a kitchen, crisp and clean in a bathroom, and relaxing and warm in a living room. 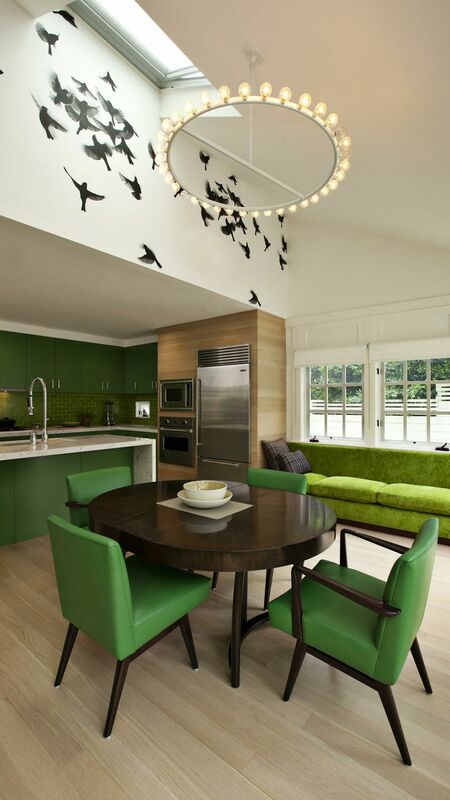 The soothing quality of green makes it ideal for almost any room. Turn your bathroom into a relaxing spa like retreat by using blue greens mixed with gray and white. If you want more drama, transform a simple powder room into an elegant jewel box by using a rich, emerald green palette. Make a kitchen feel open and airy by including sea green cabinets. Deeper greens like spruce or evergreen can add a hushed mood to a den or library. 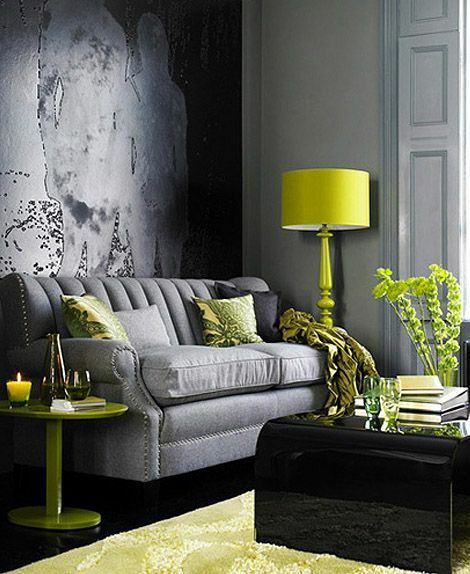 Pops of lime green add energy to a room with a mostly white palette. 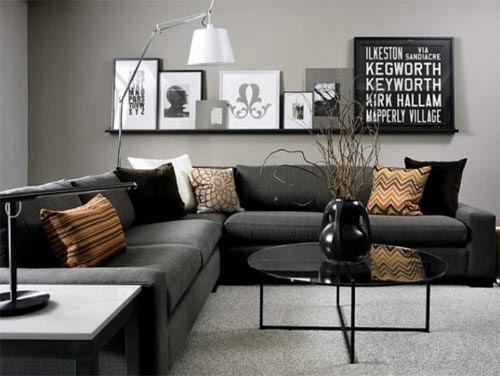 If you long for serenity, using the color gray in your home decor is a great place to start. Gray has an inherent calmness and sophistication. You can choose a solid gray that symbolizes strength, or go for a softer gray that offers a more delicate feel. While some find gray murky and depressing, others respond to gray’s ability to make other colors sing. A favorite neutral of designers, many use it as a background color, or mix different tones and shades of gray together to create a feel of simple glamour. Create a romantic bedroom with lighter tones. 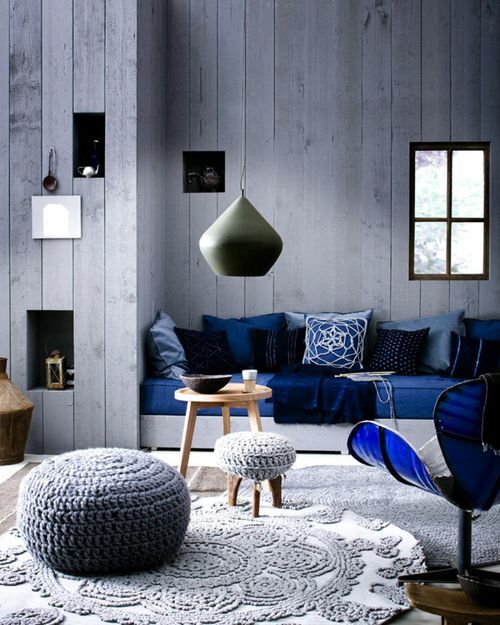 Driftwoodgray walls can add a beachhouse feel to a casual living room. 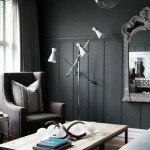 If you need a quiet background for more vibrant colors in a sitting room, deep charcoal walls can get the job done. Gray and white is a classic color combination that provides a clean and crisp look for kitchens and bathrooms. fruit or a summer sunset, and represents happiness and innovation. 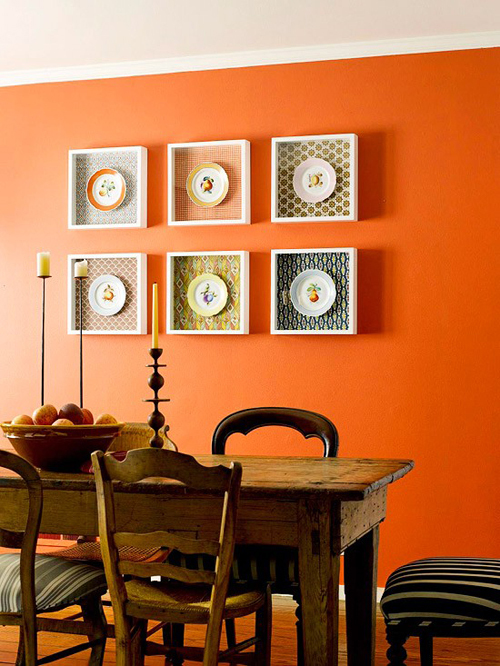 Orange has a reputation for being overwhelming, but variations like apricot and terracotta can inspire relaxation. 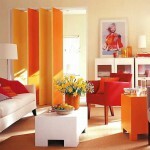 A deep orange can feel bold during the day but cozy and warm at night. In a bedroom, try a soothing, peach toned orange that casts a rosy glow on the skin. You can use a pale, dusty orange for a welcoming entry that invites guests into your home. 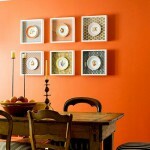 Orange stimulates your appetite and adds warmth, so it’s also a good choice for a dining room or kitchen. Create a backsplash of orange tile, or use orange fixtures to make a kitchen islandshine. It doesn’t take a lot of orange rev up a room. When most people think “pink,” images of fluffy cotton candy or a little girl’s room float into their heads. But different shades of pink set different moods. 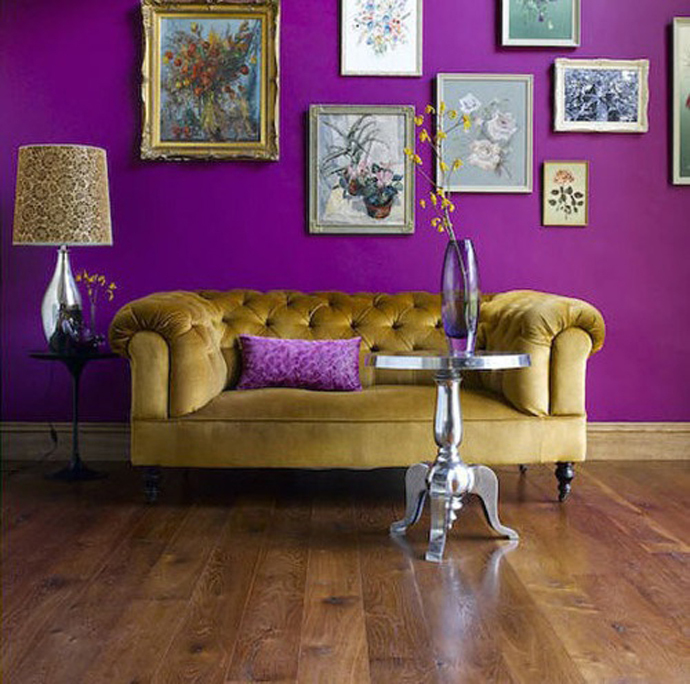 A bright, vivid tone like fuchsia suggests energy and glamour. 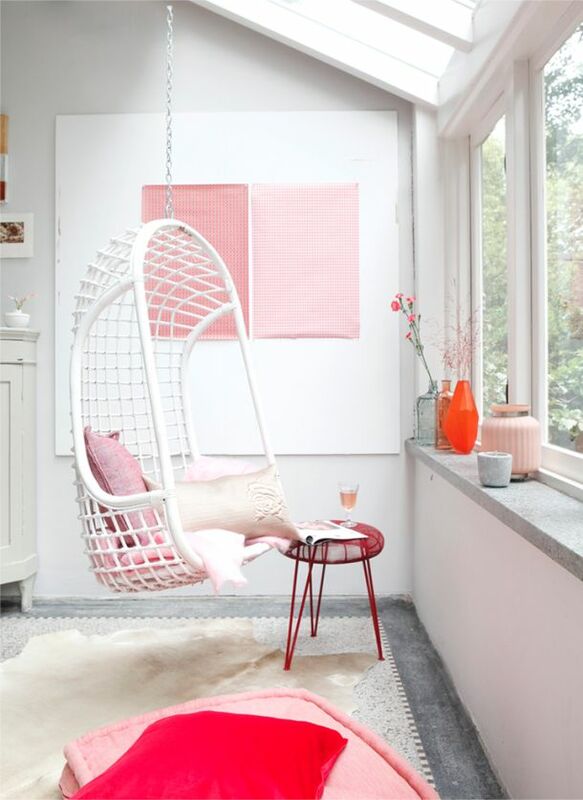 A soft and restrained pink, like blush, or a beige with pink undertones creates a soothing feeling. 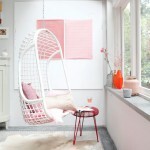 Many shades of pinks have a freshness designers love. 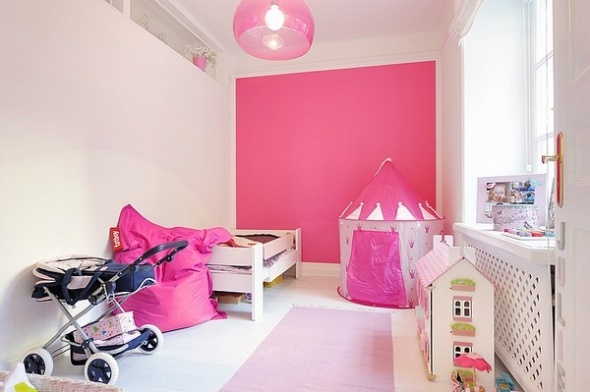 Some people who lean toward white paint for their walls should try pink, but it’s a flattering color that makes people feel good. You can use a more intense pink (like peony) for a space where you don’t spend too much time, like an entryway. Or try a deep pink with raspberry undertones for a dining room that makes guests feel and look good in its warm, reflected light. Pink can be paired with other colors, including chocolate brown, black, mint green, metallic gold and silver and white to create a variety of moods. When paired with a masculine hue like navy blue, pink can add a feminine balance.